Ripped jeans can easily become summer shorts, but what do you do with the rest of the pant legs? Upcycle them, of course! Please note: students in this class will need to use a hot glue gun. We will also be doing a lot of cutting, if you have a favorite pair of fabric scissors, bring them! Amber Ladley is a lifelong crafter and creative entrepreneur. She finds tremendous joy in crafting with others while sharing innovative ways to reduce waste for our planet. 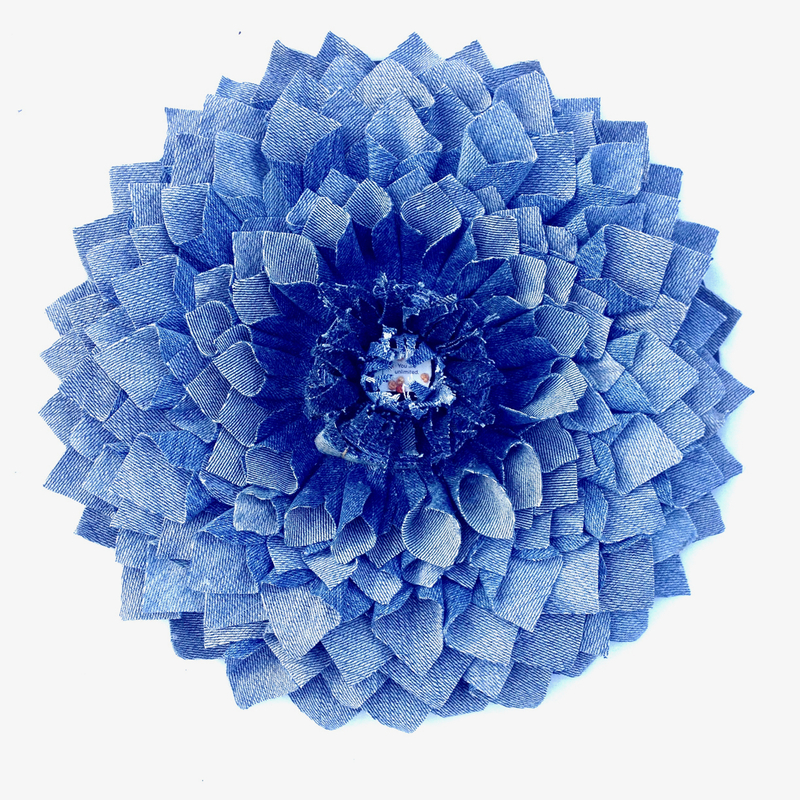 Join her, along with members of your community, for an inspirational workshop and leave with a denim dahlia handmade by you!